Why, when we are on path to something that we deeply desire, do we get in our own way? Why, when we are making real progress towards our goals do we engage in self-sabotage? What is the deal? You know what I mean: We set a goal to lose weight or get in shape. We eat well and get into a doable exercise routine, and then we have chocolate cake for lunch and say “screw it” and have ice cream for dinner, skip the gym the next day and eat a bunch of crap. We start a new relationship that’s moving along well, but then we do something stupid like snoop in their phone. Or, right before our vacation, we pick at our partner and start a fight. Or, we have a deep dream of writing a book or creating a regular painting practice, yet find ourselves so incredibly busy that we can’t get traction on the project. We make excuses. Cancel that session with our coach or trainer. Or convince ourselves that we must be “sick” and can’t. Then the destructive self-talk begins. We are “lazy” or “have no willpower” or “will never achieve our dreams, so why bother?” and other such nonsense. Well, though I say “nonsense,” I know that this kind of inner dialogue is real, and hurtful, and just not true. Like an abuser, our self-destructive inner voice tries to keep the talk – and our perceived failures – hidden from friends and loved ones. It tries to keep us lost within our own shame. Or, worse, our self-destructive self-talk goes public as we WOE is ME with a friend and share stories that top each other’s ways we have sabotaged ourselves. Sugarplum, you are not alone in this. I see these questions in my own journal. I hear this from clients and friends all the time. It isn’t that you don’t have willpower. You are not a bad person. You are not unworthy of being loved. No, darling, the truth of the matter is that self-sabotage is one of the ways fear manifests in our daily lives. There is a level of fear in every part of the process of being human and living. We fear failure, so either we don’t try at all, or we sabotage a project early. If no one knows that we tried, then they won’t think we’ve failed, right? Because if we are successful, then we will have to change our own definition of who we are. And how we relate to the world. So, we self-sabotage as a way to keep our life the same. Yes, even if we want more deep down. That fear keeps us small. This is hard. Because we often get clear about our roles in life . Especially the roles we play in our relationships – whether it be family, love or friendship. And a deeper, primal part of ourselves is afraid that even a positive change – like getting healthy or writing a successful book – will translate into people treating us differently. And if our roles change, will we lose the love of others? That’s the fear, darling. We fear the withdrawal of affection so strongly, that we allow ourselves to continue to work below our potential. And, we fear being loved, too. Because, being loved means being vulnerable. If we fall in love, then, eventually, that person will realize that we aren’t perfect. So, we sabotage relationships early, because though it may hurt a little now, we fear how badly we will hurt when we get in deep. It’s easy to look at the ways we get in our own way and chalk it up to being a sub-par person, but what if you were to see if for what it truly is: fear? I know how debilitating fear can be. It’s easy to look at someone’s life and believe that they are more courageous than you. Or that their life is easier than yours. Or that they just aren’t afraid or worried or challenged. But, you honestly just don’t know how hard someone works, what projects they’ve left undone, or how afraid they were before a big breakthrough. Sometimes, the people creating big bold projects are really frightened of what the failure or success of that project may be. 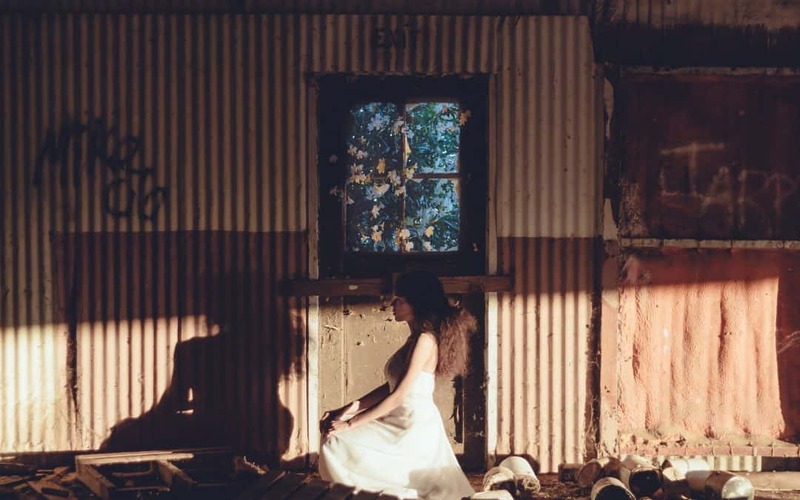 Sometimes, the people that seem to be head-over-heels in love had to battle their own inner demons regularly before they got brave enough to not just commit, but to do the work. Ah, my darling, this is where shame comes in. We are so deeply shamed by our fears that the people that seem happy or successful may not talk intimately about the deepest fears and how they got in their own way during the process. Awareness. Recognize that the self-sabotage is fear in some way, no matter how it’s manifesting. Bringing awareness to the situation allows you to better understand yourself. Name It. Are you afraid of success, failure or both? Is the fear about what others will think? Is vulnerability causing you to be afraid? Afraid of feeling? Afraid of getting hurt? By naming it, you allow the cause of your fear to lose a little bit of power. Get Clear about your “why.” Are you wanting to write a book because you love words or do you want your mother to finally be proud of you? Are you wanting to lose weight so that others will look at you and think you are beautiful or because you want to feel healthy? Get crystal clear about the motivation behind any dream or goal. And if you have a specific dream or goal that doesn’t originate from within but because it’s someone else’s dream, then it really doesn’t belong to you. Take one small step. You don’t have to take a flying leap off a cliff into the ocean to begin working on your fear, just take the next step towards your desire. Strengthen your courage muscles. Doing things that scare you allows you to build confidence around your fears. Build action into your daily life. Routines can sound boring, but if you consciously bring your goals into your daily life, you will be less fearful. The bonus is that when actions towards your desires becomes habit, there’s less far. Know what’s non-negotiable. Set yourself up for success by writing down your daily non-negotiables. Know the triggers. What leads to self-sabotage in the past? Is it a particular “friend” on Facebook? Does a conversation with your sister about her perfect life? Is it being short-changed on sleep or being hungry? Know thy tricks. Recognizing when we are up to our old “tricks” of sabotaging ourselves, we can stop ourselves in the act. Fuel your life. Get adequate sleep and fuel your body with quality foods and lots of water. Silence the shame. Have a conversation with someone you trust about your fears. When we shine a light on our shame, it silences it. Get accountable. Hire a coach. Workout with a friend. Have a heart-felt conversation with your partner. Getting a handle on how to manage your self-sabotage isn’t going to make all your fears suddenly disappear. Fear, after all, is an important part of change. You may still fail. You may still find yourself afraid to take the next step. But knowing how to recognize and manage the tendency to sabotage yourself will make those steps less frightening, and make the failures less likely. Because, darling, what could be more important than living a life that you absolutely love? Are you ready to tackle your fears and the ways you self-sabotage? Coaching can help. There’s nothing like talking things through with someone that’s been there. And the beauty of coaching is that you can share your fears, get some empathy, and then get help creating a plan to move beyond them. You can find details about packages and pricing here. 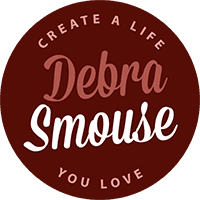 Get in touch or drop me an email at: debra AT debrasmouse.com and we’ll schedule a call to see if we’re a good fit. 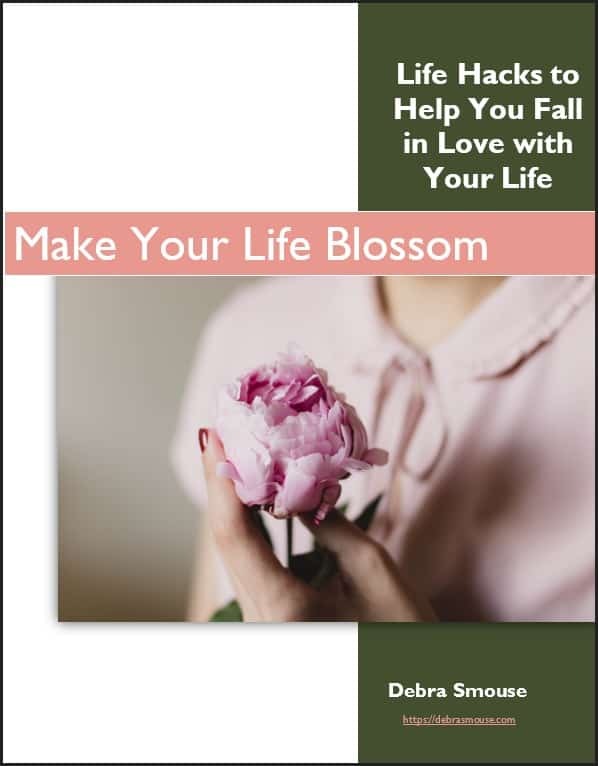 Looking for more tips and tricks to finally loving your life? You’ll find more awesome articles here.